Who Should Book a Room at a Value Resort? This month in WDW Magazine, we’re taking a closer look at Walt Disney World’s Value Resorts. As you can see from our extensive coverage, there are lots of reasons to love the Value Resorts. There’s so much to do and see, and there’s really something that will appeal to just about anyone. But before booking a room at one of these fun-filled establishments, you may be asking yourself if it will end up being a good fit for your specific party. That’s why today we thought we’d give some more detailed suggestions of what types of groups would typically enjoy the Value Resorts the most. Keep in mind the price difference based on standard and preferred room categories is simply based on proximity to the main building. Meaning, preferred rooms have a location closer to the food courts and bus stops. Both rooms will be the same inside, normally two double beds sleeping four adults. 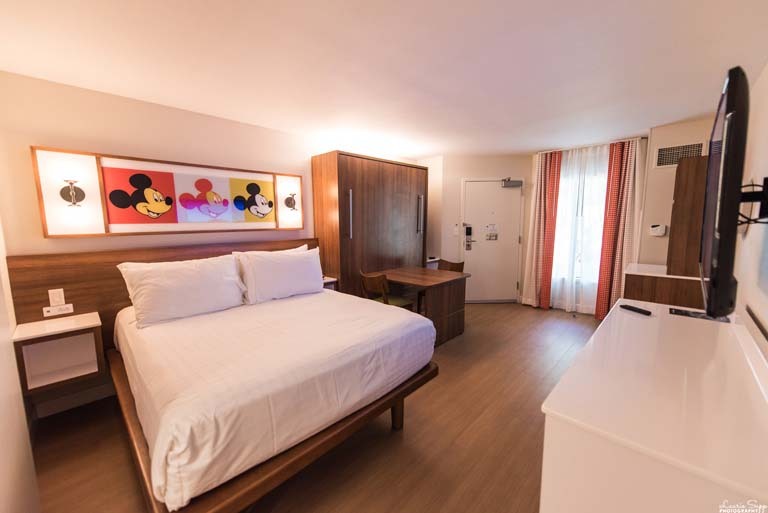 Pop Century Rooms are great for those on the go – and are currently getting a refurb! Photo by Laurie Sapp. The rooms of the Value Resorts are notably lacking in space to spread out. That’s just a fact of life—a lower price means less square footage. But if you’re the type of family that just needs a pillow to crash on at the end of the day, then the Value Resorts are probably perfect for you. Why pay extra money for a room that you’ll hardly ever see? If you plan to rise early and party past the fireworks, don’t worry about space—spend your money on extra experiences instead. The Little Mermaid Rooms at Art of Animation are a hit with kids. Photo by Brett Svenson. That being said, you still may want to take the size of your individuals into account. Families with teens or adult children may find the lack of elbow room in a Value Room annoying. However, smaller kids obviously take up less space, making them a better candidate for Value Room enjoyment. However, parents of smaller kids may end up actually having more gear. You know—the stroller, the portable crib, the white noise machine, the must-have lovies, the bottle warmer—and the list goes on. Also, if you have smaller kids you may be planning to take a midday break for nap time, which will inevitably leave mom or dad out on the breezeway while junior rests inside the room. Not exactly ideal. Anyways, my point is—take into account the age of your kids and visualize how you plan to utilize the room before booking. The All-Stars provide the best value for money! Photo by Cliff Wang. 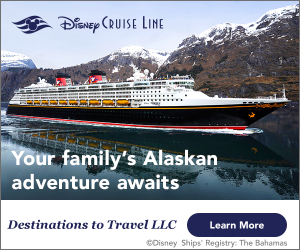 Of course we all know that the Value Resorts are a great option for those who are being careful with their Disney budget. But what you may not know is that in many cases two Value Rooms are often less expensive than one Moderate Room or a Value Family Suite, depending on the time of year. 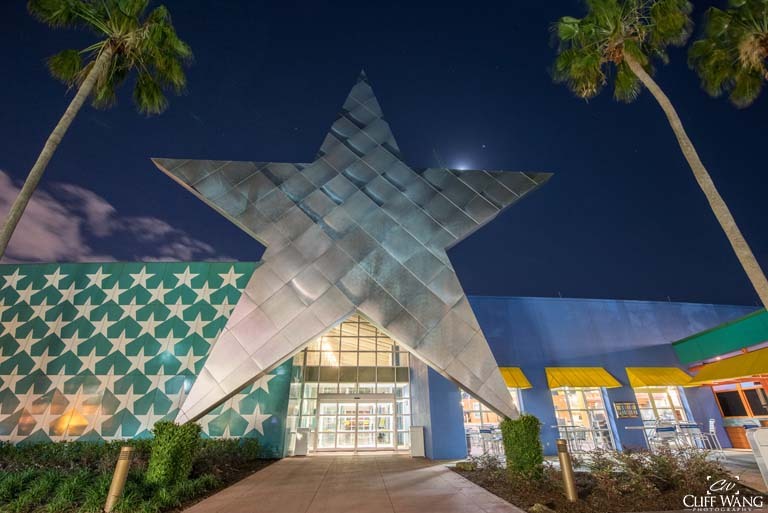 So if you find yourself concerned about space restrictions but also drawn to the amazing cost benefits, the Value Resorts could still be the perfect place for you. Just consider booking two rooms! Extra space at a still decently affordable price—that could be just the answer you’re looking for. Now don’t forget, while these three groups may find themselves more comfortable in a Value Resort room, there’s really something that everyone could appreciate in these bright, cheery places. 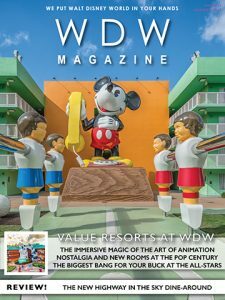 Read all about what makes the Value resorts at WDW so special, this month in WDW Magazine! 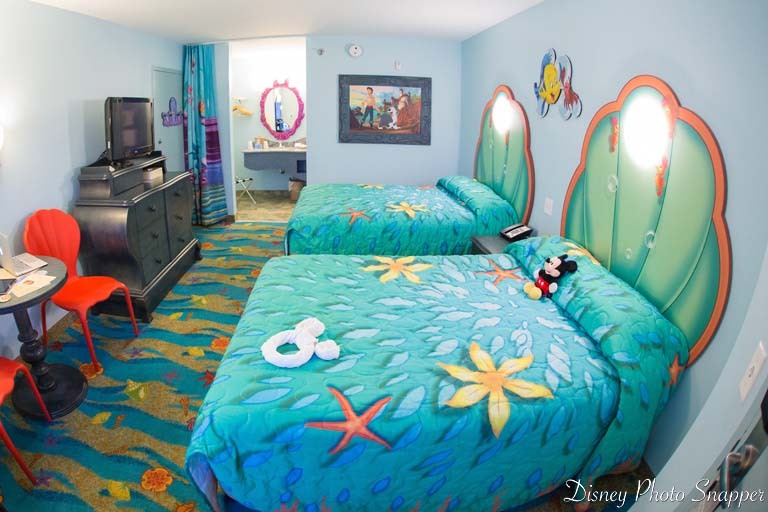 Come back next week, and we’ll examine what types of groups may want to book a Value Resort Family Suite. For more about changes and things coming soon to Walt Disney World , check out the August issue of WDW Magazine.